Callers must contact Yavapai Silent Witness at 1-800-932-3232 or submit a tip online with criminal information to be eligible for any cash reward! On August 23, 2018 Catch 22, Day 14, Francisco Gardea was arrested in Prescott Valley due to a Silent Witness tip. The reward has been paid. Callers wanting to know about cash rewards must call the Program Director Monday-Thursday between 8 a.m. and 4:00 p.m. at 1-800-932-3232. Call Yavapai Silent Witness (1.800.932.3232) with any information or concerns regarding criminal activity. Remember, callers’ identity remains anonymous throughout the process — you never have to give your name! YSW will pay cash rewards to any caller whose information leads to a felony arrest. Once the suspect has been arrested, no cash reward will be available to subsequent callers. If you have a group that would like more information about Yavapai Silent Witness, please call 928.777.7266 (Monday-Thursday) to set up a meeting. 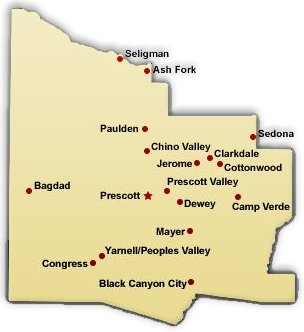 Yavapai Silent Witness, Inc. and the Yavapai County Sheriff’s Office (Prescott, Arizona) has made every attempt to ensure the accuracy of the information provided on this website. If there are any questions regarding the accuracy and/or the validity of the information concerning the identities of wanted persons, please contact the Program Director at 1-800-932-3232 Monday through Thursday. Please never attempt to apprehend any of the wanted individuals featured on this website. Instead, please call Yavapai Silent Witness at 1-800-932-3232 or call your local law enforcement agency. Yavapai Silent Witness strives to make safer communities throughout Yavapai County by partnering with local law enforcement, the media and citizens of Yavapai County.